Designed by QCRI in partnership with MIT and Al-Jazeera, MAQSA provides an interactive topic-centric dashboard that summarizes news articles and user responses (comments, tweets, etc.) to these news items. The platform thus helps editors and publishers in newsrooms like Al-Jazeera’s better “understand user engagement and audience sentiment evolution on various topics of interest.” In addition, MAQSA “helps news consumers explore public reaction on articles relevant to a topic and refine their exploration via related entities, topics, articles and tweets.” The pilot platform currently uses Al-Jazeera data such as Op-Eds from Al-Jazeera English. While others have tried to develop similar dashboards in the past, these have “not taken a topic-centric approach to viewing a collection of news articles with a focus on their user comments in the way we propose.” The team at QCRI has since added a number of exciting new features for Al-Jazeera to try out as widgets on their site. I’ll be sure to blog about these and other updates when they are officially launched. Note that other media companies (e.g., UK Guardian) will also be able to use this platform and widgets once they become public. As always with such new initiatives, my very first thought and question is: how might we apply them in a humanitarian context? 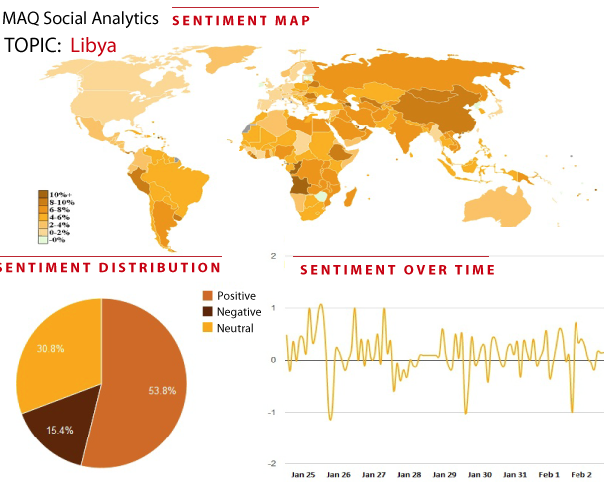 For example, perhaps MAQSA could be repurposed to do social analytics of responses from local stakeholders with respect to humanitarian news articles produced by IRIN, an award-winning humanitarian news and analysis service covering the parts of the world often under-reported, misunderstood or ignored. Perhaps an SMS component could also be added to a MAQSA-IRIN platform to facilitate this. Or perhaps there’s an application for the work that Internews carries out with local journalists and consumers of information around the world. What do you think?